Discover our full range of OCXO products here and use our product search to find the exact oven controlled oscillator you need. Our highlighted key OCXO products are chosen for their combination of highly competitive commercial pricing and large range of developed frequencies and specifications. For more information on our key product range you can contact our expert advisers here. The HCD220 chassis mounted oven controlled oscillator, available from 5.0 ~ 16MHz, features dual RF outputs and mechanical frequency trimming with fine frequency adjustment. Available with a range of excellent temperature stability options including as good as ±1ppb, and also in a range of supply voltages from 12~30V. The HCD300 OCXO with sine wave output features low profile 36 x 27 x 15mm package with standard European output and is available with supply voltage 5.0V at frequencies from 5.0 ~ 20.0MHz. 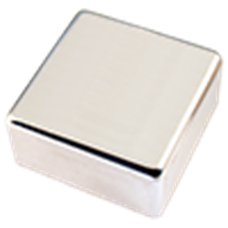 The HCD301 oven controlled oscillator with CMOS/TTL output features low profile 36 x 27 x 15mm package with standard European output and is available with supply voltage 5.0V at frequencies from 5.0 ~ 20.0MHz. 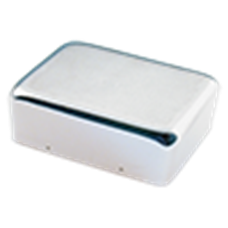 The HCD310 OCXO with sine wave output features low profile 36 x 27 x 15mm package with standard European output and is available with supply voltage 12.0V at frequencies from 5.0 ~ 60.0MHz. 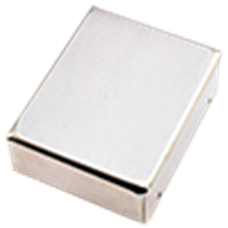 Featuring CMOS/TTL output and low profile 36 x 27 x 15mm package, the HCD311 OCXO is available with single oven and oscillator 12V supply at frequencies from 5.0 ~ 50.0MHz. The HCD331 OCXO with CMOS output features low profile package and tight temperature stability as good as ±20ppb. The HCD331 is available with supply voltage 5.0V at frequencies from 13.0 ~ 20.0MHz. Featuring exceptionally tight temperature stability of ±5ppb, the HCD350 OCXO with sine wave output has standard European pin-out and is available with a single 5.0V oven and oscillator supply at frequencies from 5.0 ~ 20.0MHz. Boasting exceptionally tight temperature stability of ±5ppb, the HCD351 OCXO with CMOS output has standard European pin-out and is available with a single 5.0V oven and oscillator supply at frequencies from 5.0 ~ 20.0MHz. 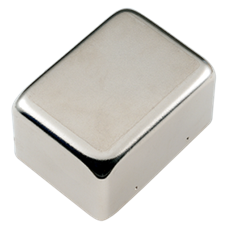 The GOXO-149 OCXO with LVCMOS output and optional electronic frequency control, features 14.0 x 9.0 x 6.85mm surface mount package and is available with supply voltage 3.3V at frequencies from 10.0 ~ 80.0MHz. 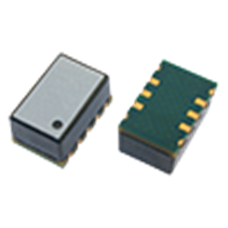 The HCD181 OCXO with CMOS output features 46 x 36 x 15mm package with seperate 12.0V oven and oscillator voltage supplies, and is available at low frequencies from 30.0kHz ~ 5.0MHz. 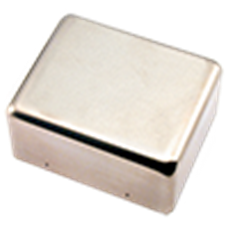 The low frequency HCD191 OCXO with CMOS output features 46 x 36 x 15mm package and single 12.0V oven and oscillator svoltage supply, and is available at low frequencies from 30.0kHz ~ 5.0MHz. The HCD210 chassis mounted OCXO provides highly stable sine output up to high frequencies of 100MHz. Featuring excellent temperature stability and a choice of operating temeprature ranges, the HCD210 is a great solution when a chassis mounted oven controlled oscillator is needed. Featuring exceptionally tight temperature stability of ±5ppb and good ageing characteristics, the HCD360 OCXO with sine wave output has standard European pin-out and is available with a single 12.0V oven and oscillator supply at frequencies from 5.0 ~ 20.0MHz. The HCD361 OCXO with CMOS output is available at frequencies from 5.0 ~ 20.0MHz and features very tight temperature stability of ±5ppb, and very low phase noise characeristics. This OCXO features a single 12.0V supply, which can be optionally configured to 15.0V or 18.0V. The low profile HCD370 features exceptionally tight temperature stability of ±5ppb and good phase noise characteristics, the HCD370 OCXO with sine wave output has standard European pin-out and is available with a single 12.0V oven and oscillator supply at frequencies from 5.0 ~ 20.0MHz. 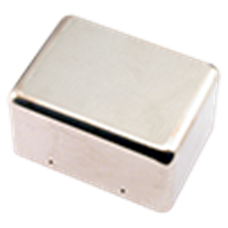 The low profile HCD371 OCXO with CMOS output is available at frequencies from 5.0 ~ 20.0MHz and features very tight temperature stability of ±5ppb, and very low phase noise characeristics. This OCXO features a single 12.0V supply, which can be optionally configured to 15.0V or 18.0V. The HCD380 oven controlled oscillator with sine wave output is available at very high frequencies up to 100MHz with very low phase noise of -160dBc/Hz @ 10kHz, thanks to a no multiplier design. This OCXO aslo features excellent temperature stanbility and standard european pin-out. The HCD381 OCXO with CMOS output is available at very high frequencies up to 100MHz with very low phase noise of -160dBc/Hz @ 10kHz, thanks to a no multiplier design. This OCXO aslo features excellent temperature stanbility and standard european pin-out. Boasting temperature stability down to ±1ppb, the HCD660 OCXO with 51 x 41 x 25mm package and standard European pin-out, features sine wave output and is available at frequencies from 5.0 ~ 20.0MHz. With excellent temperature stability down to ±1ppb, the HCD661 OCXO features CMOS output and comes encased within robust 51 x 41 x 25mm package with standard European pin-out, available at frequencies from 5.0 ~ 20.0MHz. The HCD665 OCXO with 51 x 41 x 25mm package and standard European pin-out, features sine wave output, fast warm up and temperature stability down to ±1ppb, and is available at frequencies from 5.0 ~ 20.0MHz. Featuring temperature stability down to ±1ppb, the HCD666 oven controlled oscillator features CMOS output and comes encased within robust 51 x 41 x 25mm package with standard European pin-out. Available at frequencies from 5.0 ~ 20.0MHz, this OCXO also features excellent phase noise specifications and fast warm up. Boasting sine wave output and temperature stability down to ±1ppb, the HCD660 OCXO with 51 x 51 x 25mm package and standard US pin-out, is available at frequencies from 5.0 ~ 20.0MHz. With excellent temperature stability down to ±1ppb, the HCD681 OCXO features CMOS output and comes encased within a robust 51 x 51 x 25mm package with standard US pin-out, available at frequencies from 5.0 ~ 20.0MHz. Featuring temperature stability down to ±1ppb, the HCD685 oven controlled oscillator features sine output and comes encased within a robust 51 x 51 x 25mm package with standard US pin-out. 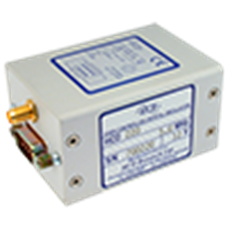 Available at frequencies from 5.0 ~ 20.0MHz, this OCXO also features excellent phase noise specifications.